If only because it started with the last two days of the Microsoft Exchange Conference (MEC), April 2014 was quite a month for the Exchange community. Here’s what I discussed during the month in my “Exchange Unwashed” blog on WindowsITPro.com. Exchange 2013 is a resource hog – no surprise there (April 29): Software has a habit of requiring more resources as versions roll out. It’s always been the way, even when we wrote in machine code. New features have to be paid for in code and code requires resources. Exchange 2013 is a different beast to Exchange 2010 or Exchange 2007 and the bill of materials required for a new server might surprise those who anticipate that it’s going to be the same again. Only it isn’t. Why installing a multirole Exchange 2013 server is the best option (April 24): In another example of how I often explain the blindingly obvious, this post explains why you should never install a single-role Exchange 2013 server for general use. That is, unless you’re Microsoft and are running Office 365. Value simplicity above complexity in Exchange designs, deployments, and operations (April 22): One of the big themes pursued by Microsoft at MEC was that simplicity is good. You can’t really argue against this theory because complexity invariably gets in the way during deployments and operations. Here’s why I think you should embrace the mantra in Exchange projects. 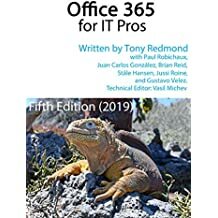 Best practice evolves as knowledge transfers from Office 365 to on-premises Exchange (April 17): Many complain that Microsoft is too focused on cloud computing these days to the detriment of on-premises customers. It’s true that they are certainly focused on Office 365, Azure, etc., but good things do flow from this activity. One is new features that show up in the on-premises product (I could argue a case for Managed Availability, but this might be shouted down). Another is when knowledge transfers – which happened a lot at MEC. DAG or server: A database’s got to be owned somewhere (April 15): This post arose from a bug that Paul Cunningham (Mr ExchangeServerPro) encountered with an Exchange 2013 server. The bug is now fixed but the topic deserved some discussion because people might not realize that every Exchange database is owned by an entity – either a server or a DAG. And that’s the way it should be. Cherish old Exchange databases to avoid the pesky DatabaseGuidNotFound error (April 11): An irritating bug in Exchange 2013 SP1 means that you have to keep old Exchange 2007 or Exchange 2010 mailbox databases around for a little while after you move mailboxes to their new homes. It’s all because OWA and EAS clients like to know what’s happening and where they’ve come from. Or something like that. Being open about Office 365 operations drives credibility of “the service” (April 10): Like everyone else, I have my own favourite sessions at any conference. Vivek Sharma’s MEC session on how Microsoft runs Exchange Online at massive scale is one of mine (you can view the session online). Talking about “the service” in such an open manner helps people to understand the challenges that the Microsoft team faces. By explaining the steps that they have taken to meet the challenges and solve problems that arise, Microsoft gains huge credibility. View the session. You’ll like it. Microsoft Exchange Conference 2014 finishes on a high (April 3): MEC was great, a point I made in this wrap-up article. I loved the energy, the great content, the speakers and the chance to meet old friends. I hated the coffee (luke-warm, brownish, and revolting) and the conference food lived up to its expectations. And my photographic friend ended up on a tour of the bars and other sights of Austin, led astray by some members of the Exchange development group. How strange! Understanding the messages from the Exchange Conference keynote (April 1): Executives who work at technology conferences are only happy when they get a chance to deliver a conference keynote. So it’s compulsory for all conferences to have keynotes and for all conference attendees to sit and listen to the golden words of those nominated to take the stage. And sit through demos that don’t work (which happened with OWA and DLP this time), attempt to hear the mutterings of some on the stage who can barely be heard three rows back (the acoustics were awful), and applaud the badly-acted friendly chit-chat that is deemed to be a good way to communicate with the audience. But after all that, there were some good messages to take away from the keynote, which is what this article is all about. I think. This entry was posted in Email, Exchange, Exchange 2010, Exchange 2013, Office 365 and tagged Exchange 2013, Exchange Unwashed, Jeff Mealiffe, MEC, Microsoft Exchange Conference, NFS, Office 365, Tony Redmond blog, Virtualization, Virtualized Exchange, Vivek Sharma. Bookmark the permalink.